Do you feel frustrated when you purchase videos from iTunes, and find out you cannot play them on your PSP, Zune, iRiver, BlackBerry or the like? Then try M4V Converter Plus! It specializes in unlocking DRM files and converting them to more popular formats like MP4, AVI, 3GP, 3G2, FLV, MPG etc. Thus, you can enjoy the converted files on PSP, Zune or any other portable media players. Purchased iTunes videos are DRM-protected M4V format. This kind of format restricts you to play them only on Apple devices. Besides, you can access them merely on no more than five computers at a time. With M4V Converter Plus, these restrictions can be lifted easily. With high-speed recording technology, M4V Converter Plus converts DRM protected files to more popular formats like MP4, AVI, 3GP, 3G2, FLV, MPG etc. In this way, DRM protection is removed easily and legally, and M4V is converted to your satisfied format. Thus, DRM files are free to be played on your PSP, Zune, iRiver, BlackBerry or any other portable media players. And you can enjoy DRM files at will. M4V Converter Plus supports unlocking DRM files in batch. Don't bother to unlock DRM files one by one which is tedious and takes time. Just add DRM files in the file list, choose a compatible output format, press profile panel, wait a moment, and then you can get your wanted unprotected files. 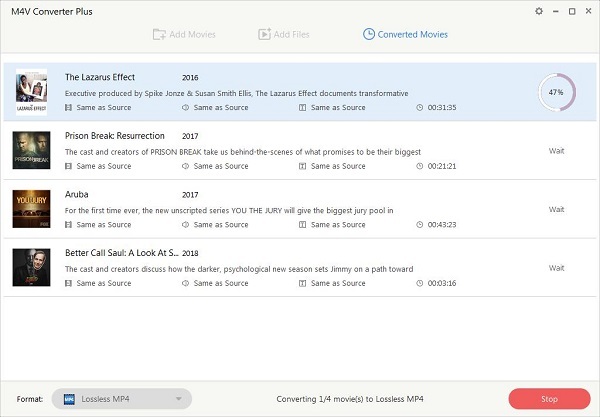 Besides features above, M4V Converter Plus enables you to customize your output videos. However, we suggest you to keep the default settings which is sure the best choice for you. With M4V Converter Plus, you can unlock DRM files quickly and legally. 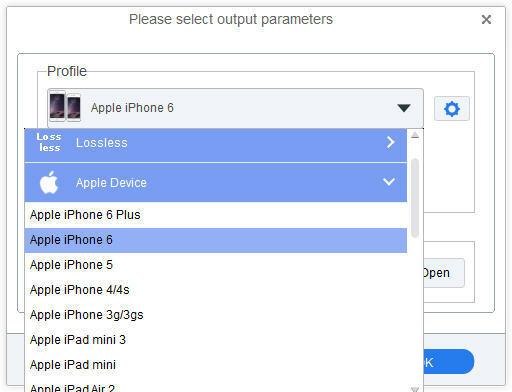 With M4V Converter Plus, you can lift all the restrictions by Apple. With M4V Converter Plus, you can enjoy DRM files on any of your portable media player.